Lincoln Hall finds his glasses in the snow. Lincoln Hall after we put his hat and gloves on but before we put him on Oxygen. I would like to nominate Daniel Mazur for the Hillary Medal. Dan I think represents the true spirit of Sir Edmund more than perhaps anyone I know. Like Sir Edmund, Daniel Mazur comes to humanitarian work as a result of his experiences as a mountaineer. 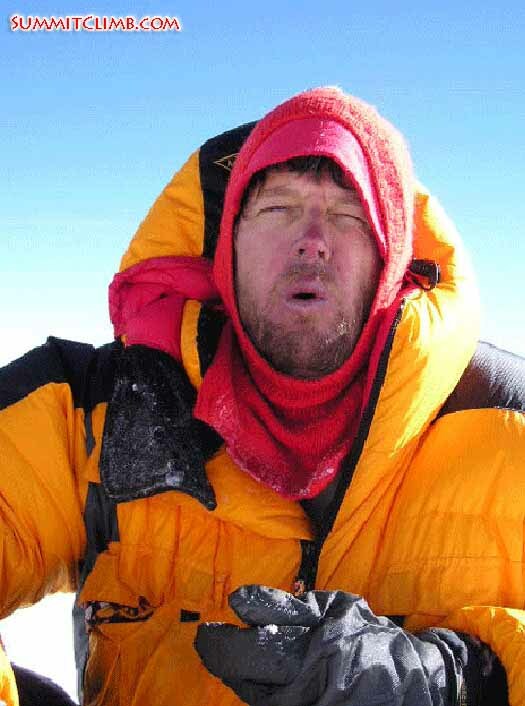 Dan is one of the great Himalayan climbers, with many outstanding ascents to his credit. Even more important, I think, are those summit attempts that Dan has aborted to rescue disabled climbers, including several that were not even in his own group. 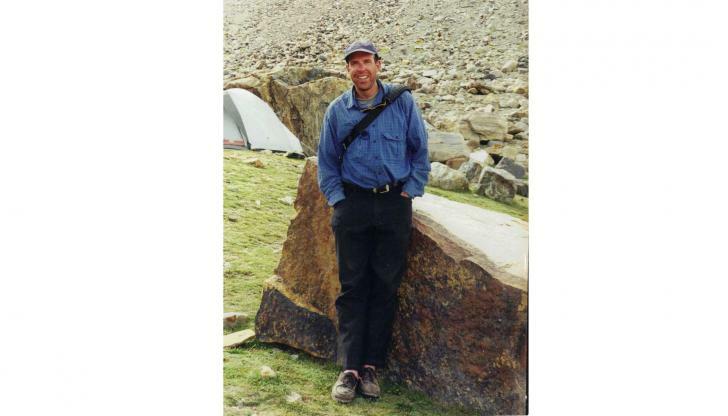 You may recall that it was Dan who rescued Lincoln Hall on Everest in 2006. That was not Dan's first such effort. For example, Greg Mortenson's Three Cups of Tea recounts Dan's heroic rescue of Etienne Fine. 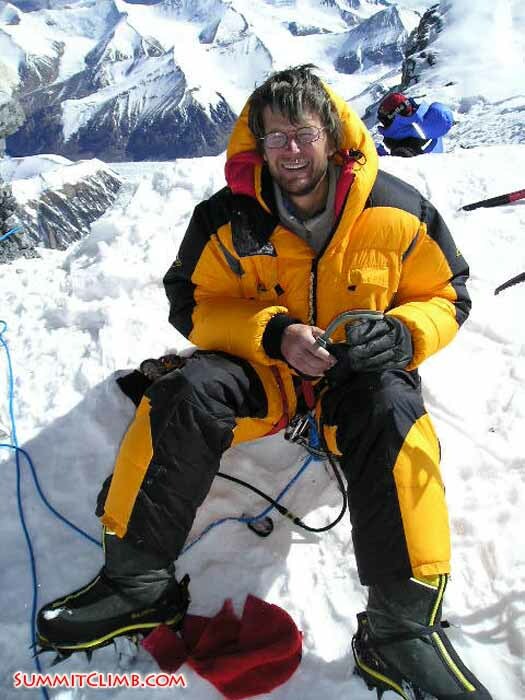 Mazur's ethical approach to climbing is both consistent with Sir Edmund's and also extremely important to the health of the mountaineering industry on which so many Sherpas depend. Patale health post worker Jamyang and Dr. Lisa McClellan examine a Nepalese baby at the Mount Everest Foundation Health Post. Murari Sharma Photo. Nuns pose in the doorway of the oldest convent in Nepal, in the shadow of Everest (Justin Dickinson of the Big Umbrella). 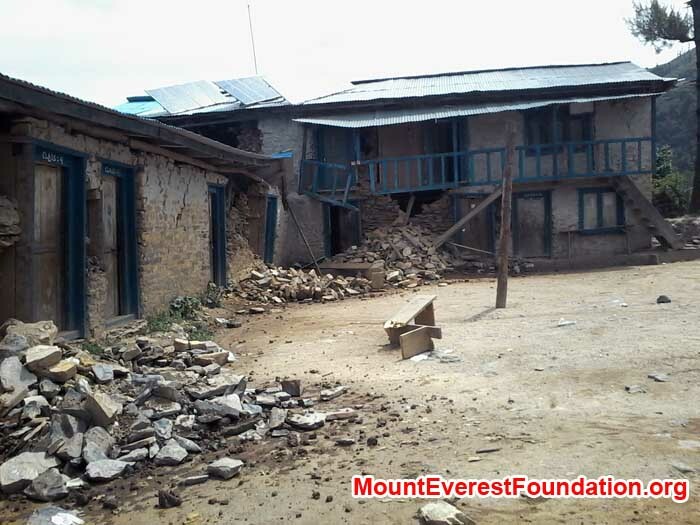 The only health post in all of Patale district, serving 600 famiies, was destroyed by an Earthquake. Damage Patle Health Center. 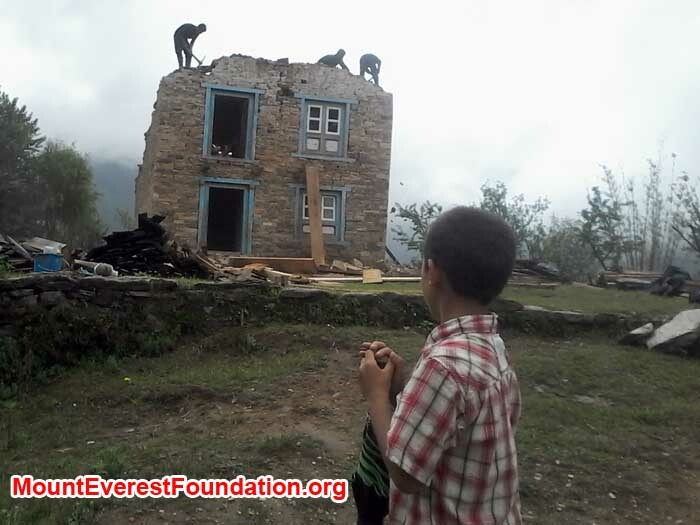 Photo Jangbu The school for 500 children in Charmading village was seriously damaged. 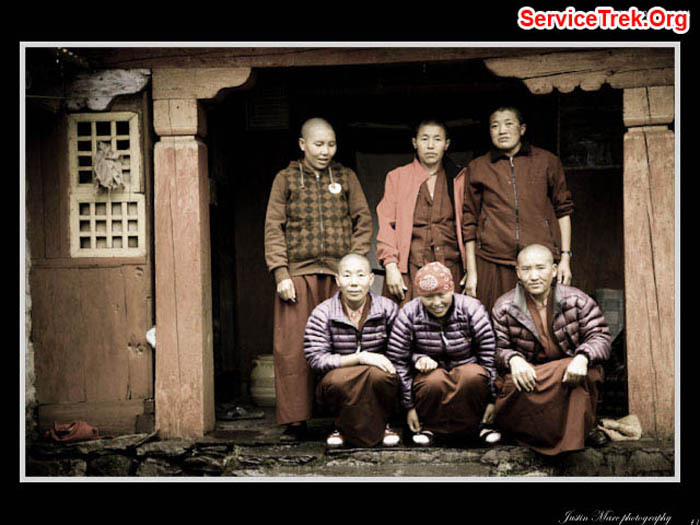 Photo by Jangbu Sherpa . Damage Charmading School. 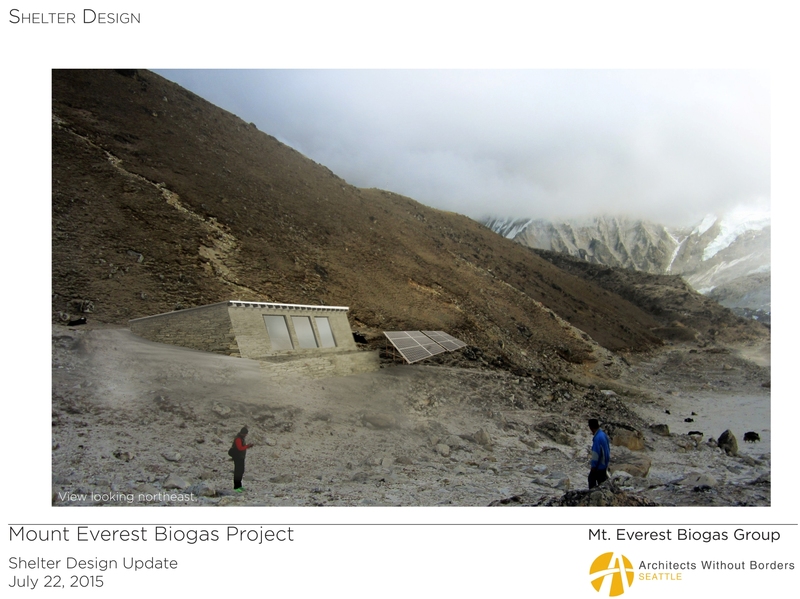 Dan has been a Board member of my own NGO, The Mountain Fund, since 2014, but he has been continuously active long before that in his own charity work through the Mount Everest Foundation for Sustainable Development. I know that his projects include a school and a health clinic in an area where many of today’s Everest porters live, and he has spearheaded the renovations at Deboche nunnery, just north of Tengboche. I have not fully researched his humanitarian projects, but I will request that he send us documentation; I know that the Selection Committee will do its own review of Dan's record, and I will let him know to expect follow-up questions from you. Dan has several academic degrees and certifications, including a PhD in Social Policy Analysis from Brandeis. Despite his many achievements, Dan carries on in a humble spirit. He doesn’t seek the limelight. There is a biography on the Dan's SummitClimb.com web site: Click Here . 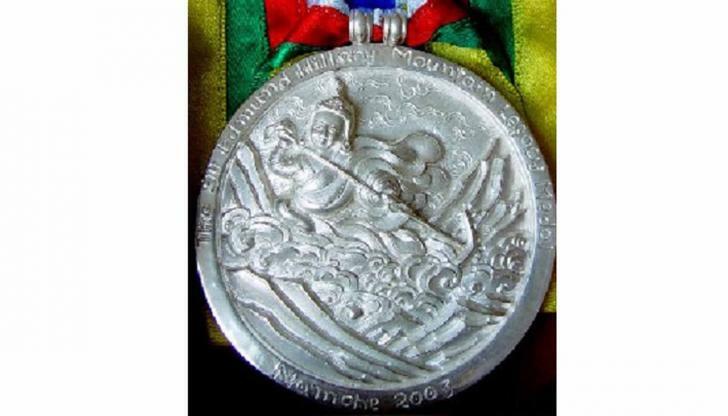 I realize that there are many people worthy of the SEHML Medal, but I have a feeling that Dan is exceptionally deserving, both for his humanitarian work, and for the noble spirit of adventure that he brings to a field that where there is always a great danger of over-commercialization and mean-spirited competition. I think if you ask anybody active in Himalayan mountaineering, "Who best exemplifies the Hillary Model of sportsmanship, conservation, and care for the host communities that mountaineers depend on?" one of the first names that comes up would have to be Daniel Mazur.